According to an article published at Phone Arena, three different variations of the Samsung Galaxy S5 topped the list of Consumer Reports smartphone rankings. The original launch-edition Galaxy S5 and the Galaxy S5 Active tied for first place with 79/100 points, while the Galaxy S5 Sport came in third with a slightly lower rating of 78/100. Why did the Galaxy S5 Sport rank lower than the original Galaxy S5 and Galaxy S5 Active? Hardware and software specs remain almost identical, so it should have the same score, right? The magazine reports that the Galaxy S5 Sport doesn’t offer the same amount of talk time as the other two Galaxy S5 devices. Granted, all three models use the same 2800mAh battery, and they all feature Samsung’s signature Ultra-Powering Saving mode, but benchmarks reveal the Galaxy S5 Sport doesn’t last as long on a charge. In case you were wondering, the Apple iPhone 6 received a score of 77/100, lower than all three of the aforementioned Galaxy S5 devices. Consumer Reports ranked the iPhone 6 fairly high, but it still failed in comparison to the Galaxy S5, Galaxy S5 Active and Galaxy S5 Sport. Surprisingly, the iPhone 6 Plus ranked even lower, with a score of just 73. Should you buy the Galaxy S5? If you’re looking for a new Android smartphone, you really can’t go wrong with Samsung’s flagship handset. Featuring a quad-core Snapdragon 801 processor, 2GB RAM, 16-megapixel primary camera, near-field communications (NFC) technology, and Samsung’s TouchWiz mod paired with Android KitKat 4.4.4 (Lollipop upgrade underway), it’s arguably one of the best devices on the market. 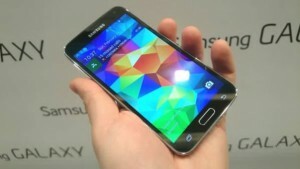 With that said, Samsung is expected to unveil a predecessor to the Galaxy S5 within the next few months. We still don’t know the full details of the company’s upcoming device, but it’s safe to assume it will feature upgraded hardware and software specs. Of course, news of a Galaxy S5 predecessor could benefit consumers in the market for an original (or variation) Galaxy S5. With a new flagship model in the works, Samsung will likely lower the price of its Galaxy S5. We’ve already seen some jaw-dropping deals over the holidays, such as the Galaxy S5 being sold for just 1 penny with a 2-year agreement, and this trend will likely continue into the new year. The Consumer Reports issue featuring the smartphone list is expected to hit shelves in February. Do you think the Galaxy S5 deserves a top ranking on the Consumer Reports list? Let us know in the comments section below!